Spend your Saturday night with the musical showcase of Pamela Clay. Enjoy music, drinks and a great time. 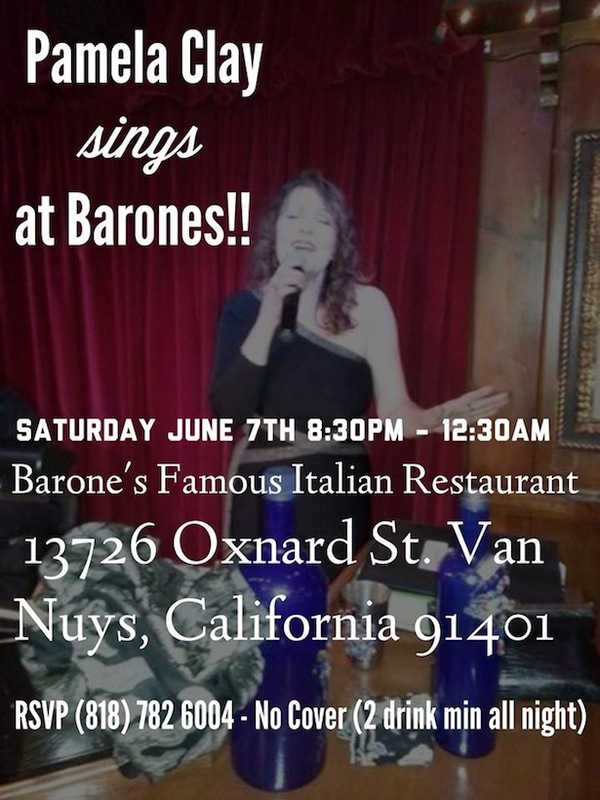 If making reservations at Barones, Van Nuys ahead of time, make sure to request the Music Room where Pamela sings with David Moscoe on the Piano and Coco “la Bete” Roussel on the drums. Special guest performances are always a surprise, but a wonderful fun evening can be expected!